布和朝鲁, 彭京备, 谢作威, 等. 2018. 冬季大范围持续性极端低温事件与欧亚大陆大型斜脊斜槽系统研究进展 [J]. 大气科学, 42(3): 656-676. Bueh Cholaw, Peng Jingbei, Xie Zuowei, et al. 2018. 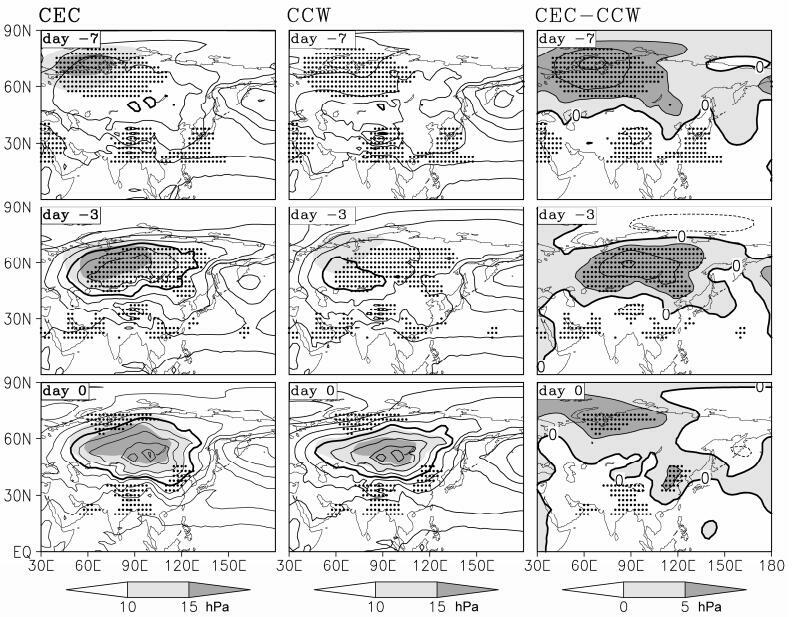 Recent Progresses on the Studies of Wintertime Extensive and Persistent Extreme Cold Events in China and Large-scale Tilted Ridges and Troughs over the Eurasian Continent [J]. 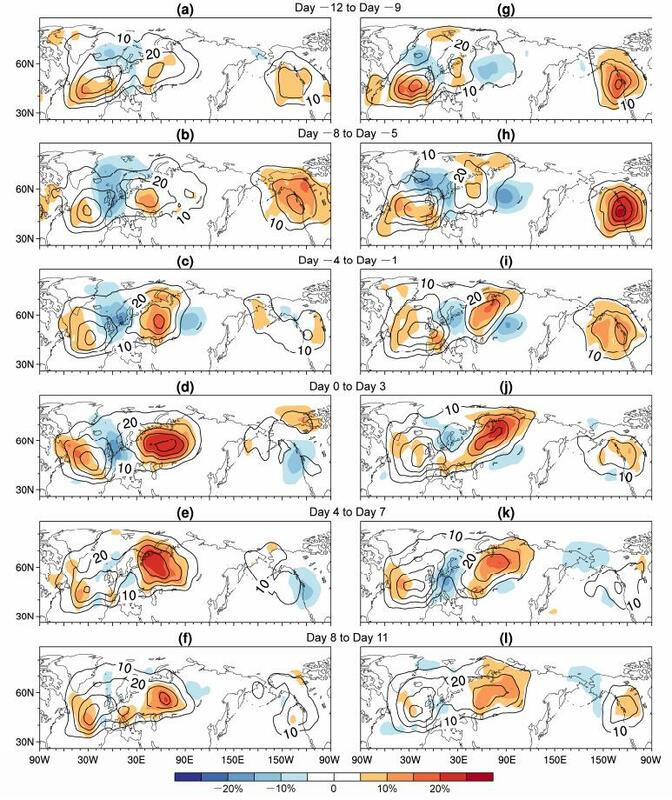 Chinese Journal of Atmospheric Sciences (in Chinese), 42(3): 656-676, doi:10.3878/j.issn.1006-9895.1712.17249. 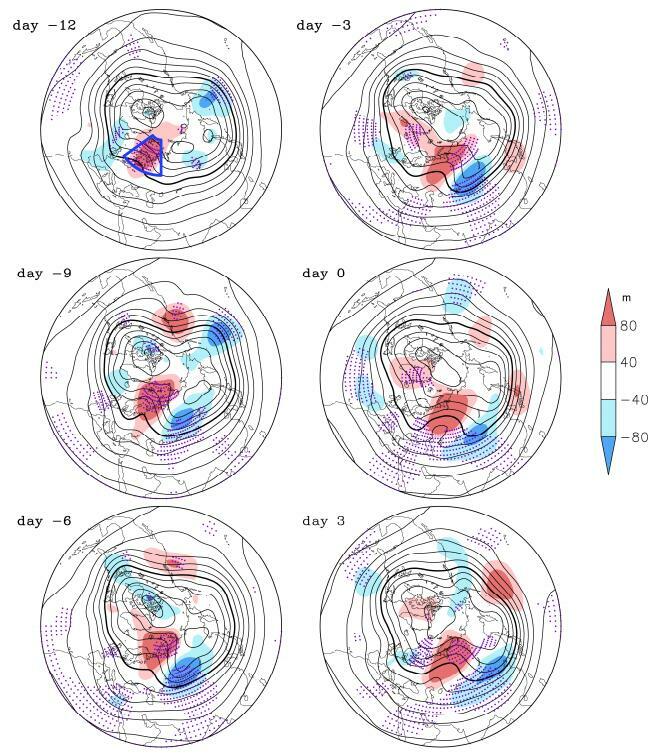 Abstract: In this paper, studies on the wintertime extensive and persistent extreme cold event (EPECE) in China and the corresponding large-scale tilted ridge and trough (LSTRT) systems over the Eurasian continent are systematically reviewed. 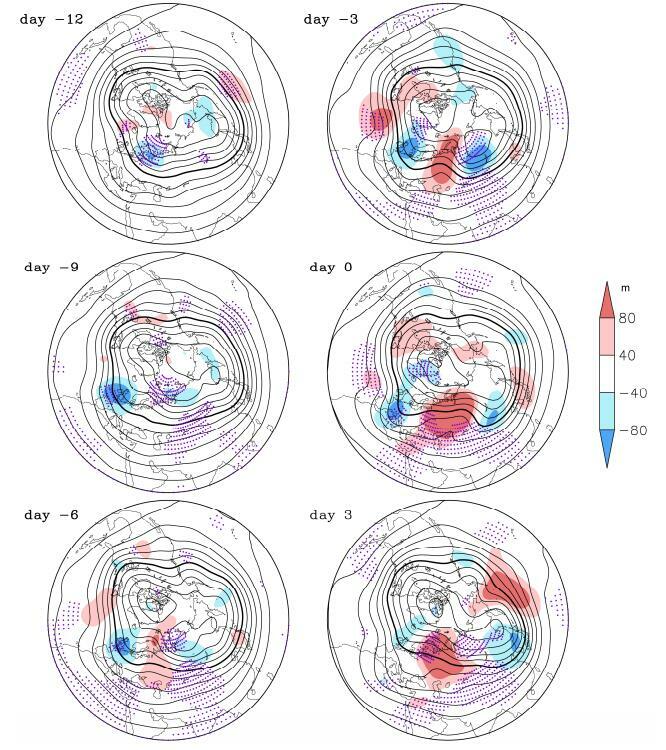 The EPECE and the ordinary cold wave events are two types of large-scale cold air activity influencing China in winter, but with different time scales. It is necessary to sort out and understand their similarities and differences. 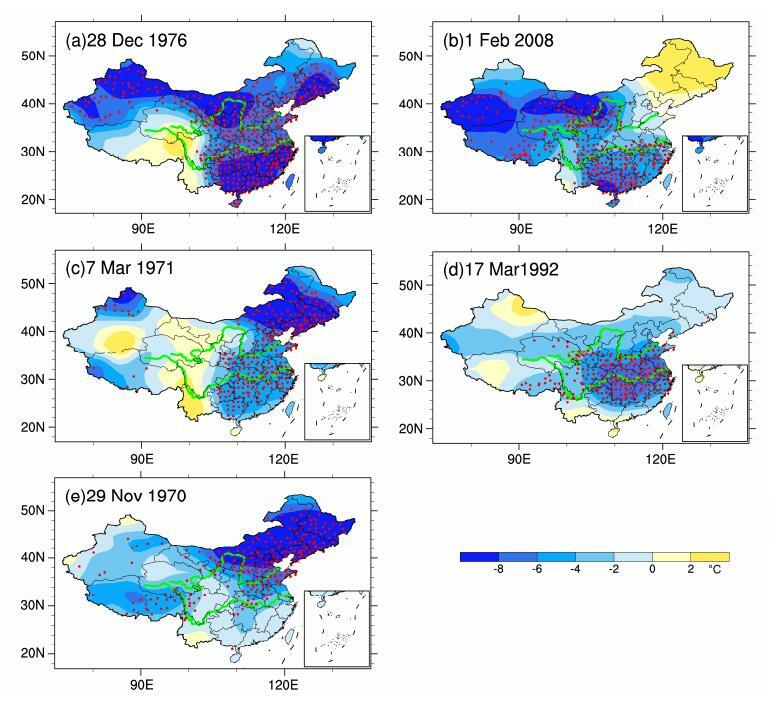 The latest research progresses in this area can be summarized as follows:(1) Based on the scope of extremely low temperature stations and the persistence characteristics of low temperature processes, the winter EPECEs in China are objectively defined. 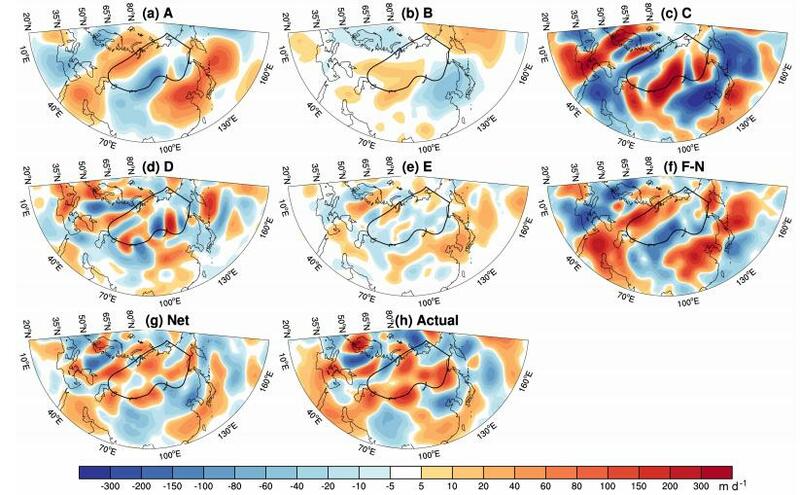 It has been revealed that the LSTRT is the key circulation system of the EPECE over the Eurasian continent. Due to the operational importance, an objective identification method of the LSTRT has been proposed in a recent study. 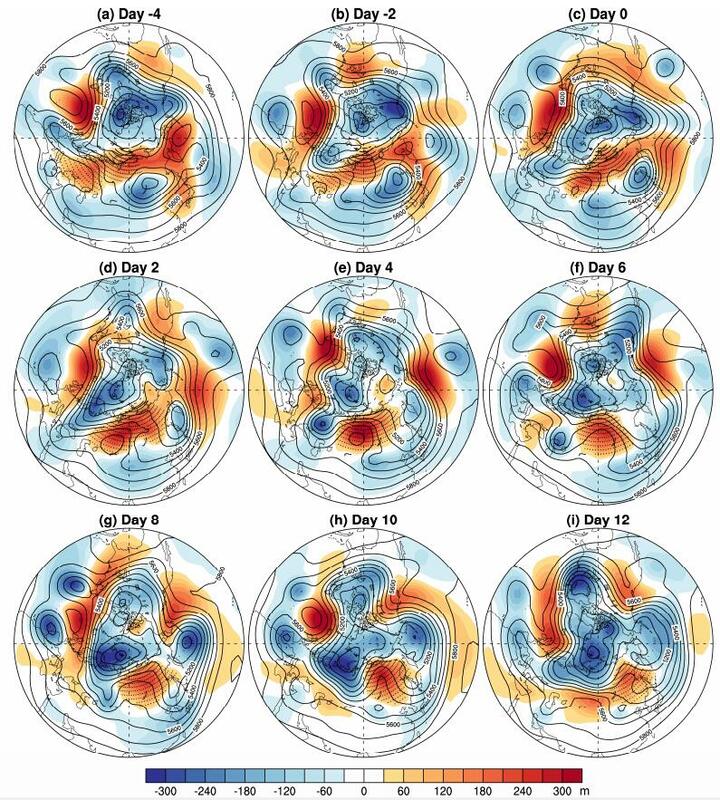 (2) Key differences between the EPECE and ordinary cold wave events are revealed in recent studies from the perspectives of precursory signals, circulation evolutions, blocking activities and synoptic scale wave breaking features. 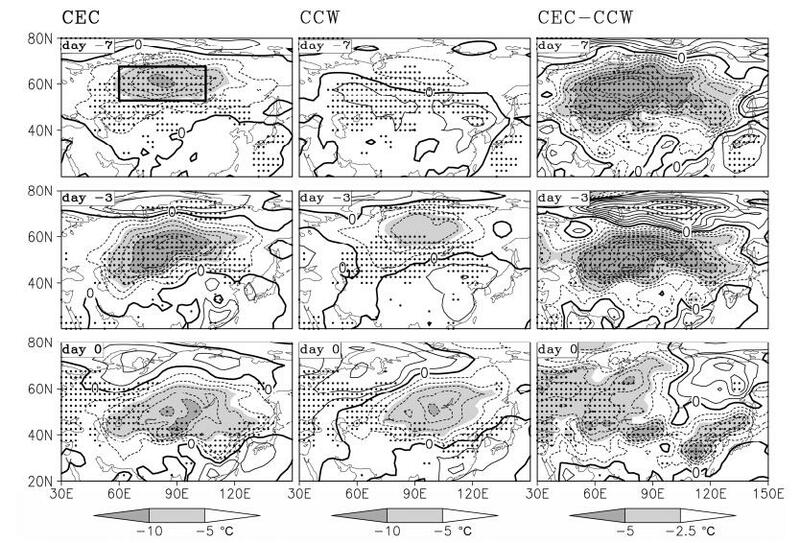 The occurrence of a countrywide EPECE has a precursor signal about one week in advance, but an ordinary cold wave event does not have such an early precursor signal. 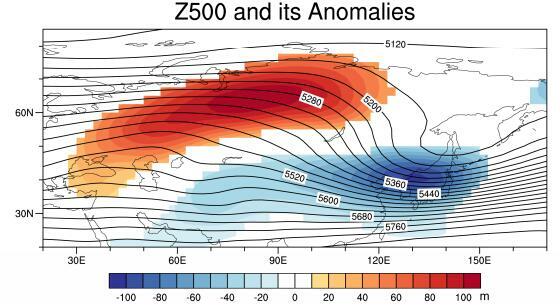 An EPECE is characterized by the blocking activity over a broad region from the Ural Mountains to Northeast Asia, while an ordinary cold wave is usually characterized by regional blocking activity. 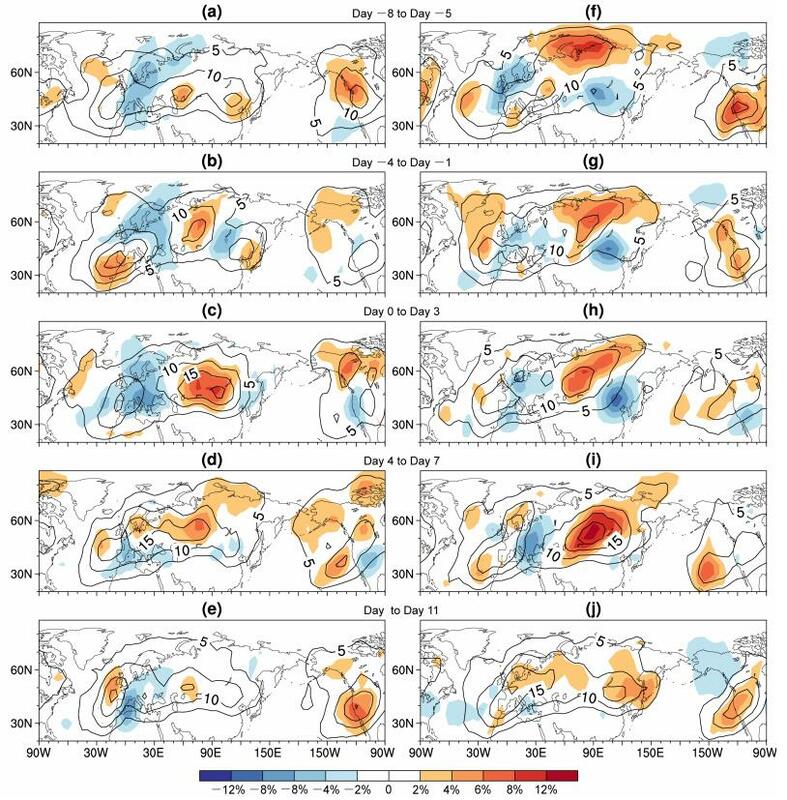 The difference in blocking activities between these two types of cold event can be explained by differences in their corresponding synoptic scale wave breaking activities. (3) The underlying mechanism for the formation and maintenance of LSTRT system is revealed. 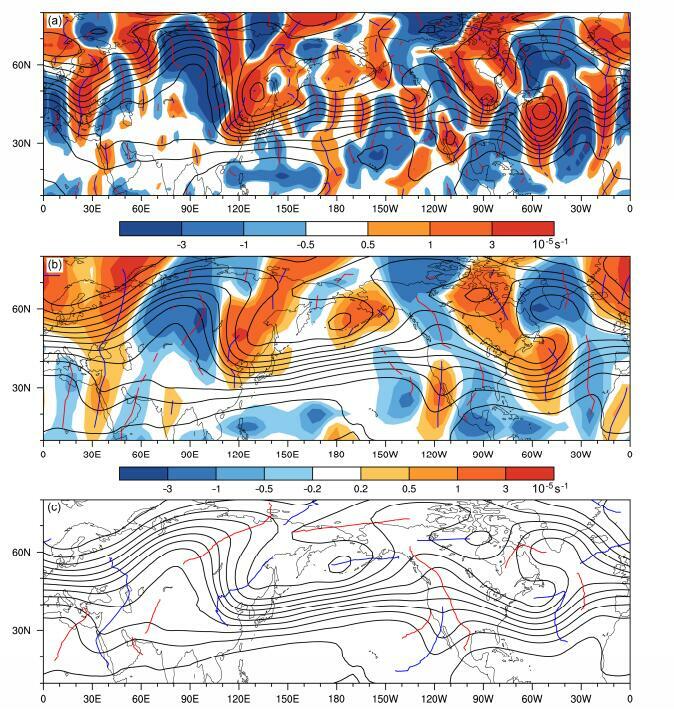 The barotropic effect of the basic flow field on the potential vorticity disturbances is the most important dynamic factor for the formation and maintenance of LSTRT. Through deformation effect, the basic flow field works on the large-scale disturbance to keep its amplitude and simultaneously extend it to downstream region through linear advection effect. In contrast to the situation of regional blocking, the nonlinear effect is not the main factor for the maintenance of the LSTRT system. 布和朝鲁, 彭京备, 谢作威, 等. 2015. 中国冬季大范围持续性低温事件研究[M]. 北京: 气象出版社: 1-230. Bueh Cholaw, Peng Jingbei, Xie Zuowei, et al. 2015. 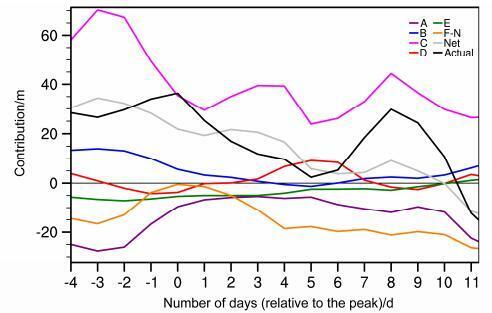 Wintertime Extensive and Persistent Low Temperature Event in China (in Chinese)[M]. Beijing: China Meteorological Press: 1-230. 仇永炎. 1985. 中期天气预报[M]. 北京: 科学出版社: 1-420. Qiu Yongyan. 1985. Medium-range Weather Forecast (in Chinese)[M]. Beijing: China Science Press: 1-420.